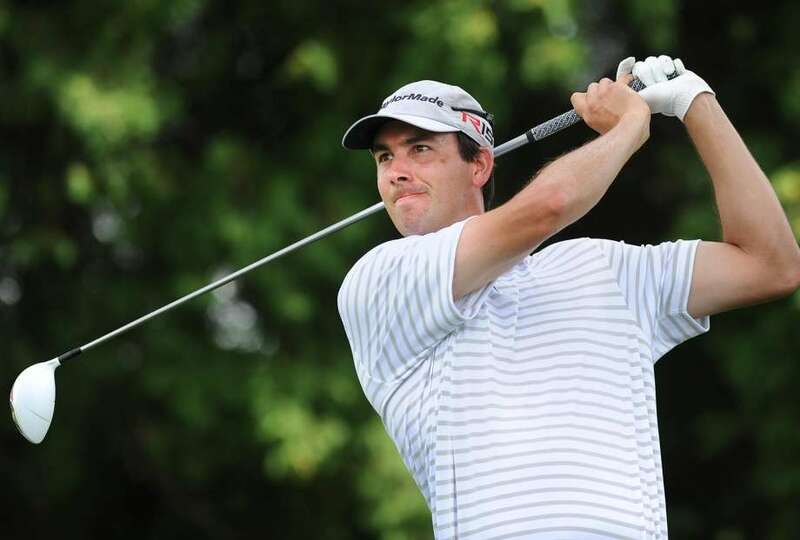 HARTFORD, Conn. – After battling through one of the most physically draining days of his golf career to shoot his lowest score ever, Adam Rainaud made special preparations for the final round of the $25,000 Connecticut PGA Championship at Keney Park Golf Course on Wednesday. Despite an opening 8-under-par 62 that included a career-best six consecutive birdies and tied the course record on Tuesday, Rainaud felt rather piqued thanks to a temperature index in the low 100s with no wind for any kind of relief. So Rainaud drank lots of water overnight and felt ready to make a run at a third tournament title, especially with the conditions not quite as severe thanks to a slight breeze. He “kind of thought” the winner would come out of the final group of himself, longtime friend Charles Tallman and Rob Labritz, a standout in the Metropolitan (N.Y.) Section PGA, but his chief competition actually was two groups ahead. Marc Bayram birdied three of four holes midway through the round to get to 3 under for the day, 5 under for the tournament and within two strokes of Rainaud. But Rainaud made a 14-foot putt for eagle 3 at No. 14 to right his listing ship and then closed with four pars for 70, a 36-hole total of 132 and a three-stroke victory over Bayram. “I wanted to come out strong, but I didn’t and that added some stress,” Rainaud said. Rainaud, 32, the first-year head pro at New Canaan Country Club, three-putted the fourth and fifth holes but countered with birdies at Nos. 6 and 7 to retain the lead that he had held since opening with two birdies the first day. Another bogey at the ninth hole gave Rainaud a 1-over 36 on the front side, but he made a brilliant flop shot from right of the par-5 10th green to 4 feet to set up a birdie. “The key shot was that 10th hole,” Rainaud said. 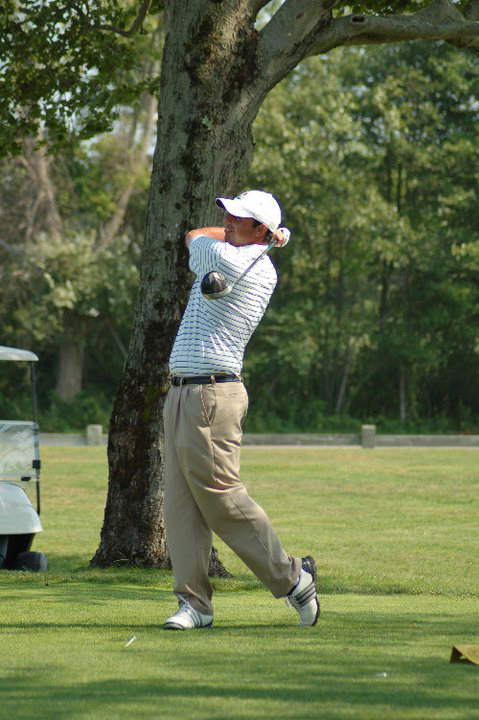 Marc Bayram, of Timberlin Golf Club, posted rounds of 68-67 for a 5-under par total to finish runner-up in the 2018 Connecticut PGA Championship. But Bayram got within a stroke when he birdied the 12th hole before Rainaud made another three-putt bogey. “When I three-putted the 12th, my anxiety level hit an all-time high,” Rainaud said. But two holes later, Rainaud hit a drive, 2-iron from 230 yards to 14 feet and made the putt for eagle. Four routine pars coming in assured Rainaud would add a third title to those in 2014 and 2016 and earn the $5,000 first prize and an invitation to the 2019 Connecticut Open. The much-decorated Rainaud was Connecticut Section PGA Player of the Year in 2014-2016 and Assistant of the Year in 2010-2011 and 2013-2016 while at the Black Hall Club in Old Lyme. His other major victories include the PGA of America Match Play Championship in 2015 and 2016, and he twice qualified for the PGA Tour’s Travelers Championship at TPC River Highlands in Cromwell. Though he came up three shots short, Bayram was quite satisfied with his runner-up finish after a memorable start to his day. Bayram arose at 6 a.m. and was at the pro shop at Timberlin Golf Course in Berlin a half-hour later with his 5-year-old son Marc, who was starting kindergarten. When the school bus picked up young Marc at Timberlin, dad did some work before heading to Keney Park. Bayram’s hot stretch midway through the round got him thinking he just might be able to overtake Rainaud, but too many miscues ended those dreams. Bayram’s biggest disappointment was a three-putt from 40 feet for par at the 14th hole, where Rainaud later made the eagle. Bayram earned $3,000 for his second best showing in Connecticut Section PGA major event. A year ago, Bayham lost a late lead and then lost a playoff to Billy Downes in the Spring Stroke Play Championship, missing a chance to play in his first Travelers Championship. Tallman began the day in second place, three strokes behind Rainaud. The two grew up together in South Hadley, Mass., attended South Hadley High School and had the same golf coach, Via Wightman. They rode in the same cart Wednesday, and Tallman realized he couldn’t afford many mistakes, but bogeys on the first two holes showed it wouldn’t be his day. Still, Tallman shot 71 for 136 and his best finish in his third tournament start, a tie for third with Geno Giancola, the son of longtime collegiate and Section standout Kevin Giancola. Geno, Bayram’s assistant at Timberlin, drove three par-4s and narrowly missed eagle 2s on his way to 65, the day’s low round. He and Tallman each won $1,800. It was the seventh top-10 finish this year for Tallman, the leader in the Player of the Year race. Nick Calabrese (Wampanoag CC-West Hartford, 69) and Michael Jezierski (Raceway GC-Thompson, 69) tied for fifth at 137, one ahead of Scott Berliner (Hiland Park GC-Queensbury, N.Y., 70). 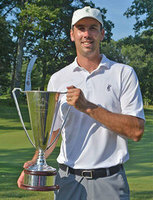 Labritz, a New Britain native now at GlenArbor Golf Club in Bedford Hills, N.Y., made birdie 2 at the 18th hole for 72-139 and a tie for eighth with Downes (GreatHorse GC-Hampden, Mass., 71), Dave Dell (Springfield CC-West Springfield, Mass., 69) and Shaun Powers (Fairview CC-Greenwich, 69).